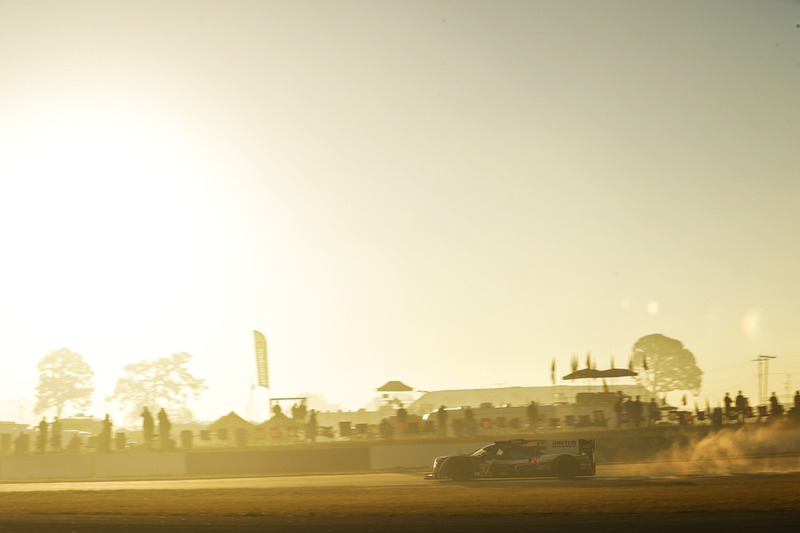 Phil Hanson claimed an excellent top-five placing in the Mobil 1 Twelve Hours of Sebring yesterday (17 Mar). The teenager now lies 10th at the midway stage of the Tequila Patrón North American Endurance Cup after the United Autosports Ligier JS P217 LMP2 sports-prototype he shared with fellow Britons Paul Di Resta and Alex Brundle came home in a splendid fifth position. Sebring débutant Hanson, who drove a storming race, now switches his attention to his first full European Le Mans Series season and second 24 Hours of Le Mans outing ahead of the third and penultimate round of the NAEC at Watkins Glen in July. The Hanson/Di Resta/Brundle Ligier started the annual race from the seventh row of the 43-car grid with Di Resta at the wheel who registered a disappointing 16 th fastest time due to lack of power which prompted an overnight engine change. Phil took over the Ligier shortly before 12noon for the first time and continued to run just outside the top-10 in 11 th position but after a consistent, cool-headed 90-minute double stint handed over to Brundle in ninth. Hanson was back in to the Liger at 6pm and lay fifth after a lightning fast pit-stop by the United crew. The British teenager produced a scintillating double stint and was up to fourth 15mins later and actually ran third but was powerless to stop the faster pole-position starting DPi class car getting ahead with four hours remaining. Nevertheless, Phil handed the car over to Brundle in third after another a brilliant error-free 98mins stint which came to a close with the sun setting with three-hours to run. But again, frustratingly, the United car was shuffled down the leaderboard by the dominant DPi machines. Final stints by Brundle and Di Resta saw the United car ultimately record a splendid fifth place at the chequered flag having to relinquish fourth – and the LMP2 category lead – due to a splash and dash pit-stop for fuel 12mins from the end. Hanson, who equalled his best-ever LMP2 race result from Silverstone last April, is next in action at the two-day ELMS Prologue event at Paul Ricard (9-10 Apr) prior to the recently inducted BRDC Young Driver contesting the opening round of the series at the French track on 15 Apr.